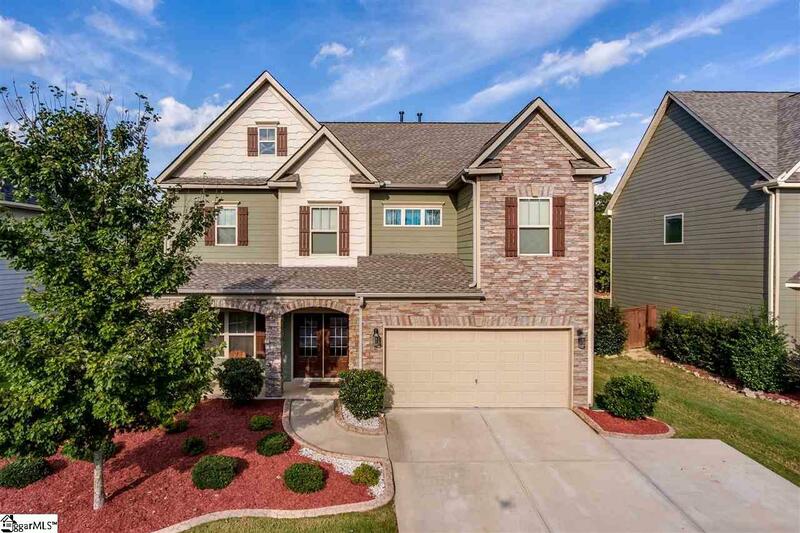 Wow........ a beautiful move in condition and professionally decorated home.Craftsman style with stone columns and very durable low maintenance Concrete plank siding. The first floor is hardwood floors in the foyer ,dining room (used as a sitting area), huge kitchen open to the family room with gas log F/P. This home has a large 8' X 4' Eat-at granite Kitchen island with electric. This offers a wonderful work space and serves to seat 5+ people for great entertaining or everyday meals. High end Gas stove/oven, built-in microwave oven and dishwasher. Wood stained kitchen cabinetry is enhanced with the ceramic tile back-splash and granite counter tops. Completing this Kitchen is a very spacious walk in pantry to solve the often occurring storage challenges. Also on the main level is a 14'X10' bedroom with full bath. The second floor has two very large bedrooms both with walk in closets , one of which is a huge 9'X9' closet. The Master bedroom is also on this level and is just awesome. A 14'X8' sitting room sets off the kind of special features this whole house truly offers.Trey ceiling and a very well appointed master bathroom with separate garden tub,extra large tile shower, Double sink vanity and spacious walk in closet. 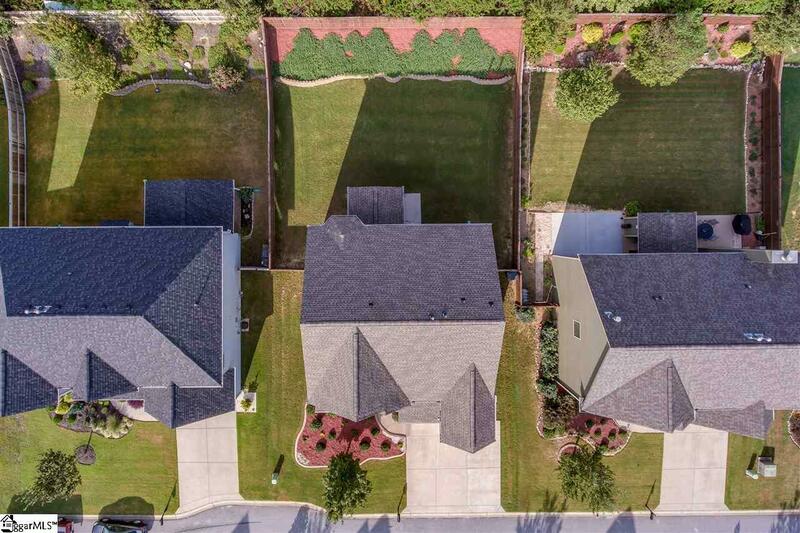 Enjoy the cool Fall breezes under the covered back porch and grill your favorite meals on the additional adjacent patio.This professionally landscaped fenced backyard will give you the desired privacy and beautiful appearance. 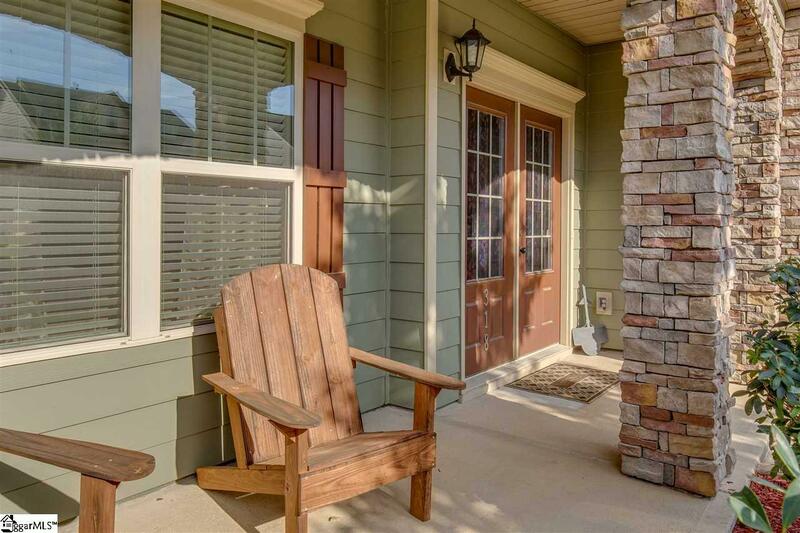 Great schools, rural feel but just minutes from downtown Simpsonville with all the charm of a small town with great shops and delicious restaurants. 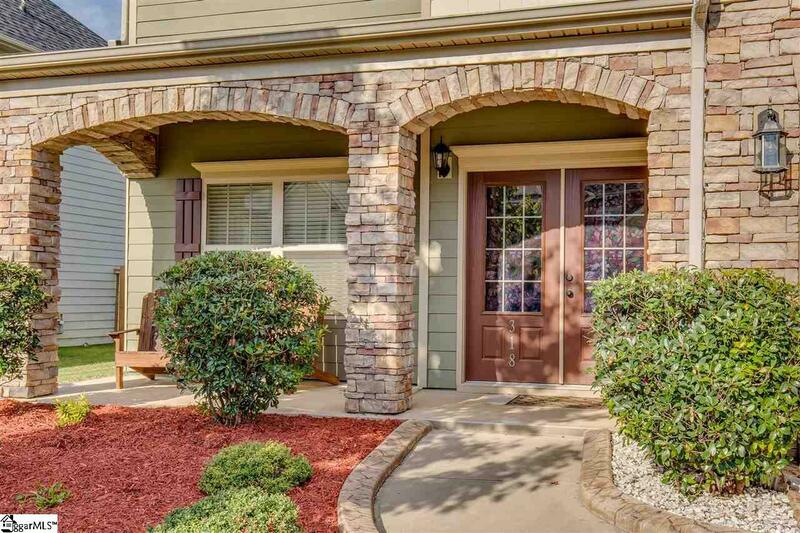 Enjoy a short 25 minute drive to the GSP airport or for events downtown Greenville. This location is fantastic!!! Just barely shy of 2600 square feet. Please make this one of the homes you see .